This Autumn, hundreds of children across Neath Port Talbot will not just be starting a new school term. Like many before them in this county borough, they’ll be entering the future of education as seen by the Welsh Government’s 21st Century Schools initiative and Neath Port Talbot’s own Strategic School Improvement Programme. Pupils walking through the pristine front doors of brand new schools this month like the £19.3m Ysgol Gymraeg Bro Dur in Sandfields, Port Talbot and the £7m Ysgol Carreg Hir in Briton Ferry are just some of the Neath Port Talbot children to be provided with the best educational facilities the Council can possibly give them. It was a decade ago in the Autumn of 2008, that Neath Port Talbot Council pledged to modernise educational provision across the County Borough’s schools – to help the Council ensure the right schools are in the right places and that they are capable of delivering an education fit for the 21st century digital-age learner. The Council was determined to make its promise come true and so far more than £123m has been ploughed into modernising Neath Port Talbot’s educational estate – a massive investment in Neath Port Talbot’s next generations and the biggest of any Council in Wales outside of Cardiff. Among the new schools built under the education modernisation programme (paid for on a 50:50 basis by Neath Port Talbot Council and the Welsh Government) has been the award winning £40m all-through school Ysgol Bae Baglan in Port Talbot - judged the UK's “Building Project of the Year” at the 2017 Constructing Excellence awards and it has also won other design and construction awards. The Council is developing its next phase (Band B) of schemes for the Strategic School Improvement Programme and the Welsh Government, as part of its 21st Century Schools Programme, has indicated approval ‘in principle’ for capital grant support for the following projects. 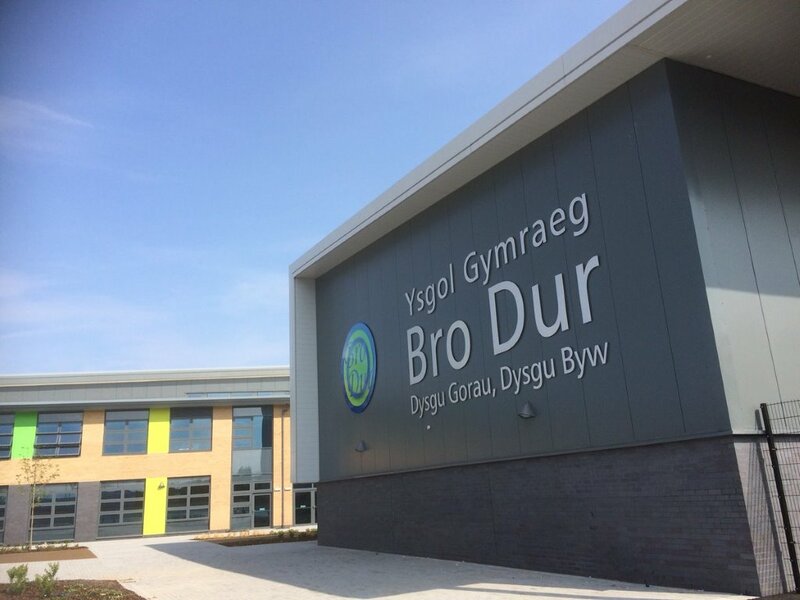 Ysgol Gymraeg Ystalyfera – Bro Dur ca.£6m - New build replacement accommodation as part of the site redevelopment of the north campus at Ystalyfera. This work complements the new build facilities at the school already completed. Ysgol Newydd (Cwmtawe) ca.£14m- A new build English-medium school in the Pontardawe area to accommodate primary age pupils as part of an ‘all-through’, 3-16 development involving Cwmtawe Comprehensive School and four existing primary schools. Ysgol Newydd (Coed Darcy) ca.£9m - A new build school for 450 pupils aged 3-11 (incl. Nursery) at Coed Darcy urban village. The language medium of the school is yet to be determined. Abbey Primary School ca.£9m - A new build English-medium school for 450 pupils (incl. Nursery) on a single site to replace the existing buildings located over 3 sites. As each of these proposals move forward, full and thorough consultations of pupils, parents, staff and local communities will be held to ensure that the best outcomes are achieved in each case. This Council is responsible for promoting high educational standards and for delivering efficient primary and secondary education all over Neath Port Talbot. Having the right schools in the right place and ensuring they are fit for the 21st century learner is the challenge this authority is determined to meet. It’s one of the key reasons the decision was taken last week to move secondary education in the Afan Valley to Margam. I can assure you this decision was not taken lightly, only being approved after the greatest scrutiny and after a long and thorough period of consultation and a series of robust Council debates. As a Council we have pledged to provide each and every child in the County Borough with the opportunity to access education in schools which are fit for the 21st Century. Our programme of reform has been radical, ambitious and, at times, difficult but we are determined to provide our young people with every chance that we can to enable them to fulfil their true potential in life. In the hi-tech new schools which have already opened and in those opening this month and those due to open in the next few years we are making good our promise. Cabinet Member for Education, Skills and Culture.